Give them a taste of paradise all year long! Enjoy the glorious views of relaxed vacation retreats without even leaving your home or office. The beautiful spiral-bound calendar clearly identifies holidays and other special remembrances. Constructed from durable 60# UV-coated gloss paper stock. Perfect promotional tool for travel agents, airlines, worldwide hotel chains and other travel-related businesses. 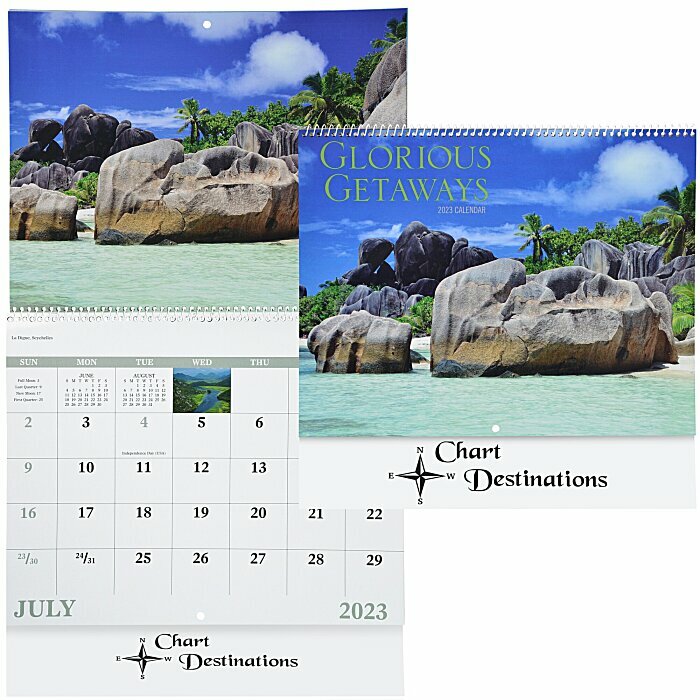 For this same calendar with a center window imprint, see item #similar item search 6795-W.